While tapping phones conversations is an easy way to get information, the NSA and the U.K.-based GCHQ may be getting even more personal data from the mobile apps you use. More leaked documents from Edward Snowden have found their way to The Guardian, which reported the news on Monday. The site says “leaky apps” are a potential source of prime data, mainly because they have permissions to device-specific, personal information. The popular Angry Birds game is one such example, partially because it has been downloaded more than 1.7 billion times, offering a vast array of potential information. 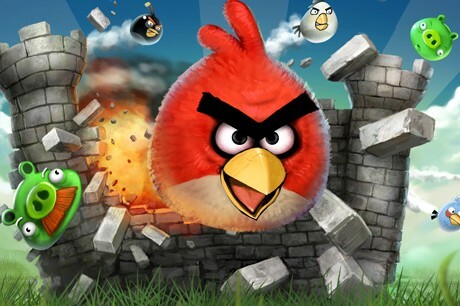 Rovio, the company behind Angry Birds, told The Guardian it has no involvement with either security agency. But there’s a fair amount of personal information available to the app. This isn’t meant to suggest Angry Birds on Android(s goog) is leaking your data like a sieve to the NSA and GCHQ. It’s simply a widespread example and an easy target for the security intelligence communities. Every app requires certain permissions and if there’s one takeaway from the latest Snowden documents it’s this: Don’t install applications that require access to more of your data than they should. The average person shouldn’t care at all about this. After all, most people use Google and Facebook on a regular basis. They represent a much greater threat to our privacy than the NSA. At least the NSA isn’t going to feature my photo in an ad, or show me ads. Put another way, the NSA and Google both violate our privacy – Google goes a step further and exploits our personal information. If this stuff really does bother you, then perhaps you should start using privacy-based sites like DuckDuckGo, Ravetree, HushMail, etc. I agree the average person shouldn’t care and probably doesn’t, Those with a little more intelligence should care and probably do. What ever you do donâ€™t install Bomberman.